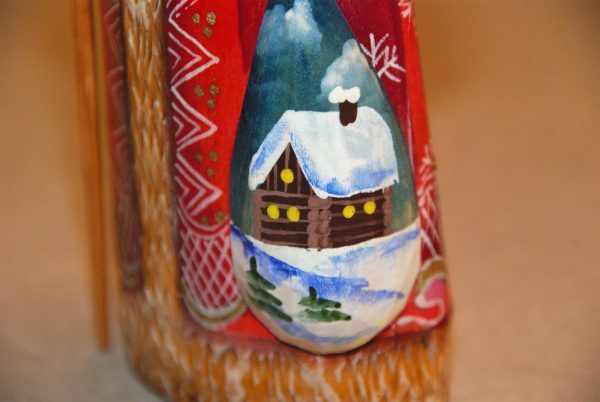 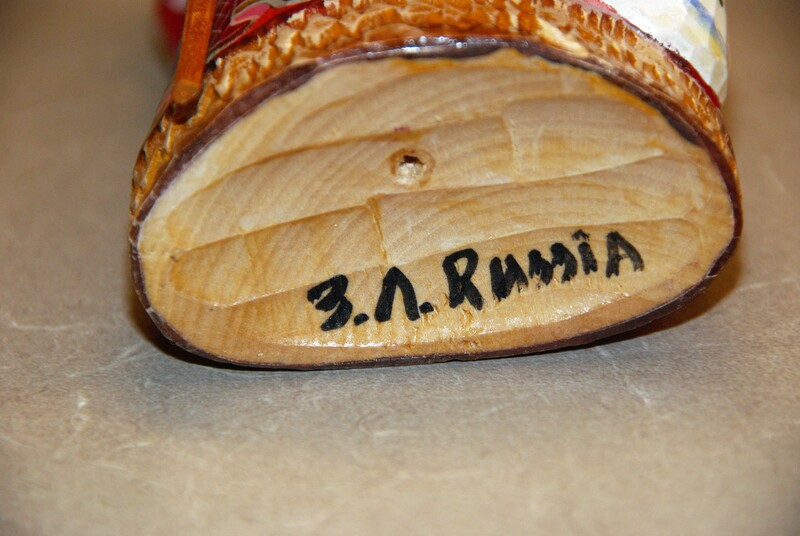 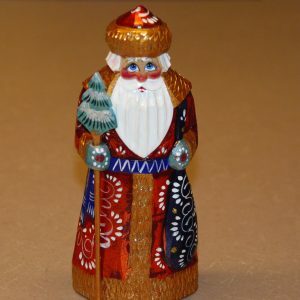 Handmade one-of-a-kind 6.75″ St. Nicholas figurine with red and gold robe and cottage sack. 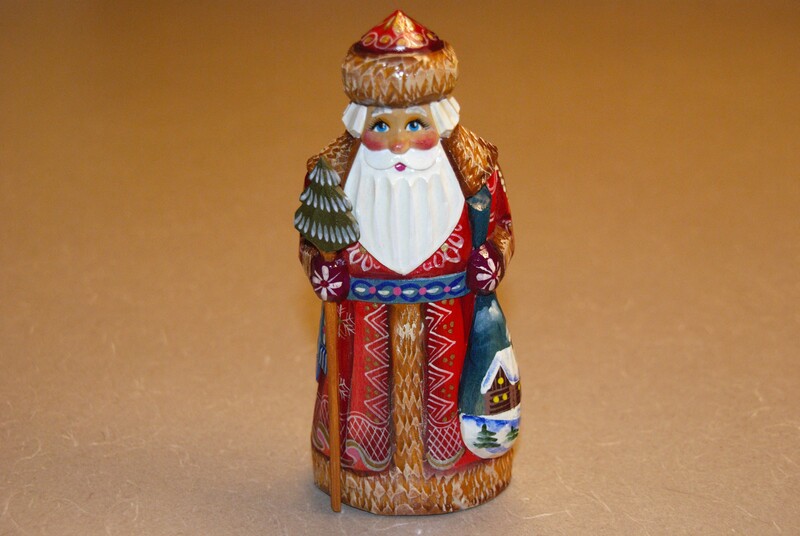 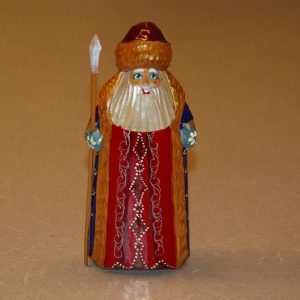 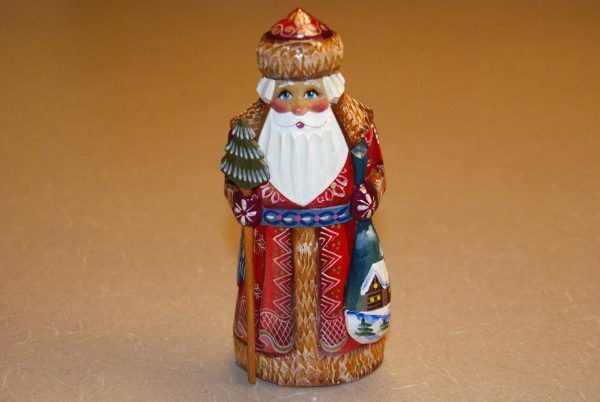 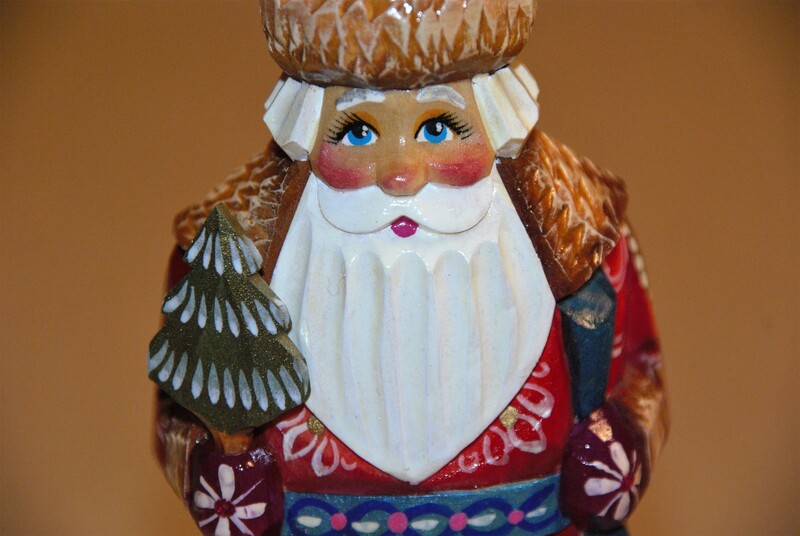 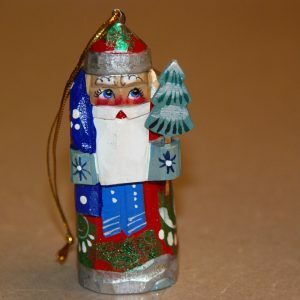 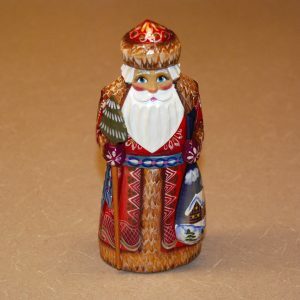 Imported from Russia, this 6.75″ wooden figurine depicts the Russian Saint Nicholas with his holiday regalia, including a large tree-headed staff and a sack of Christmas goodies. 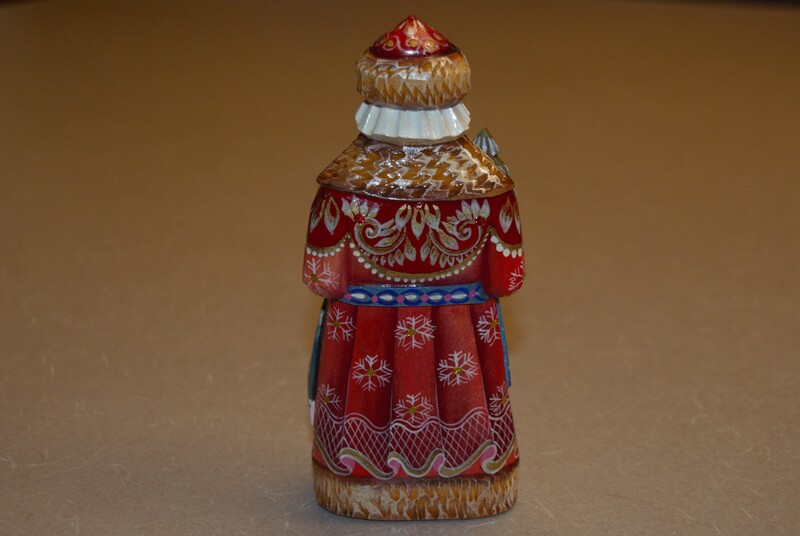 This model wears a red and gold robe and hat, a blue, pink, and white belt, and a sack with a rustic winter cottage. 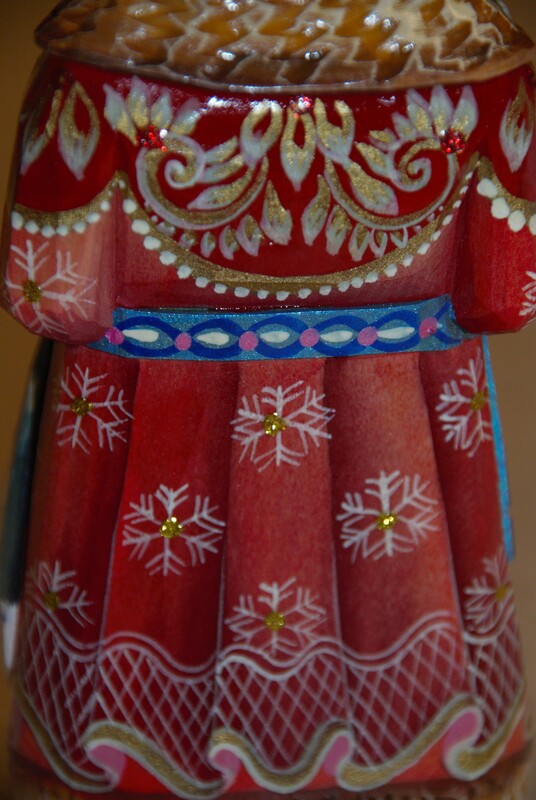 Multi-colored accents and intricate designs throughout, with beautiful snowflakes on the back of the robe.